From the moment that babies are weaned on to solid food, every parent worries about whether their child is getting all the good stuff, and enough of it, in their diets, including me! Just recently my own toddler was going through a “picky eating” phase which left me feeling very deflated at the end of the day, and had me making mental charts in my head about how healthy his meals were for the day. 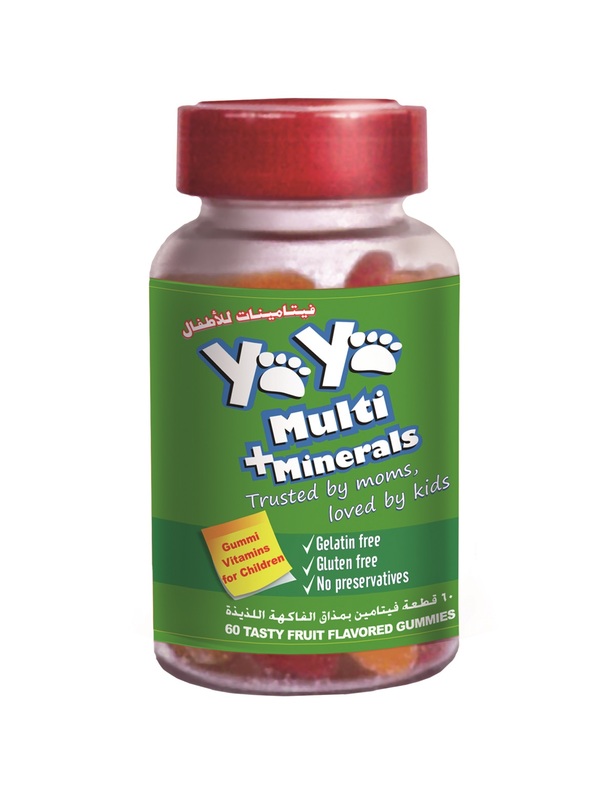 YaYa vitamins makes life a tad easier for parents by offering key vitamins and minerals in the form of a delicious gummy bear. Though these are of course not a complete substitute for a healthy diet for your child, it sure helps! And hey, who can resist gummy bears? Oh and let me tell you the best news of all, these little gummy bears have no preservatives, gluten or gelatin! These Multi+Mineral bottles contain 60 chewable gummies that are flavoured with real fruit juices are also free from preservatives, artificial colours, gelatin, egg, milk, soy, peanuts and tree nuts. Having glugged down plenty of Cod liver oil in my infant years, thanks to my mother who also believed in giving me supplements, I thought I ought to give these a try too. I was expecting them to be bland and to be honest, quite sickly. I gave them a taste myself, and I must say they are not only rich in colour, but also rich in taste as I could really taste the sweet fruit juices and forgot myself for a minute that these were in fact vitamins. If you are interested in grabbing your own bottle for your offspring, YaYa Vitamins are available at leading pharmacies across the UAE and are priced from AED 59. For more information visit: http://www.yyvitamins.com or follow them on Facebook. Note: Press sample mentioned above was sent for consideration, however all opinions expressed in the post above are solely my own and honest. Have you tried out YaYa Vitamins? Feel free to share your opinions about these vitamins, or others that you give to your children, in the comments section below!